The modular pendant control system consists of both single and dual function valve assemblies, mounting brackets, a separate one-piece handle and control button guards. 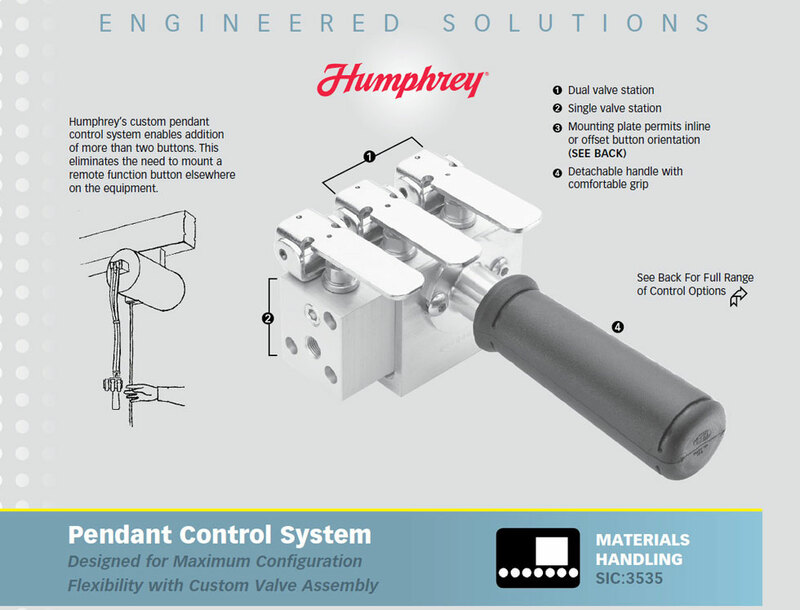 The manufacturer can provide a wide range of control options simply by mounting additional single or dual valve button assemblies, and configuring them to their customer’s specifications. Flexible design offers a range of options. Custom lever and guard options possible.